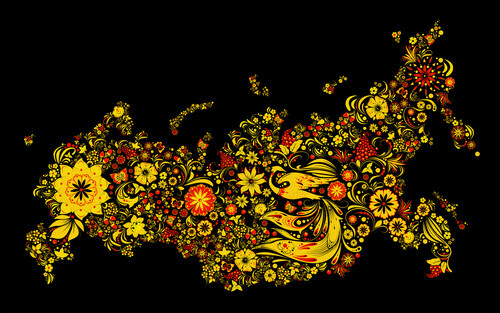 Russia. . HD Wallpaper and background images in the Russia club tagged: russia khokhloma. This Russia wallpaper contains frans goudsbloem, tagetes patula, afrikaantje melde, europese rode ouderling, red berried ouder, trosvlier, rode berried elder, sambucus racemosa, and goudsbloem.